Thanks to a slowing global economy, many oil stocks are feeling the brunt of collapsing crude oil prices. The trade war, tariffs and less-bullish data across the globe have resulted in some hefty build-ups of crude. With that, West Texas Intermediate benchmarked crude oil has slumped more than 8.5% this month, while international standard Brent has dropped about 6.3% — both are the worst monthly declines since 2016 and awfully close to where we started the year. Natural, many oil stocks have sunk hard as well — with the Energy Select Sector SPDR (NYSEARCA:XLE) down about 14% since the start of October. But that dip may actually represent an interesting opportunity for many beaten down oil stocks. During the last downturn, many cut their capex spending, refined their portfolios and boosted margins. So much so, that many can still make plenty of money with crude oil prices currently where they are. If not lower. When comes to oil stocks, no one has gotten “leaner and meaner” than ConocoPhillips (NYSE:COP). After getting crunched in the last oil downturn, COP took its massive portfolio to the woodshed, sold plenty of assets and reduced its capex by a ton. It even cut its once lucrative dividend to free-up excess cash. By focusing on the best shale assets — i.e. the Bakken, Eagle Ford, and Permian Basin — Conoco has been able to bounce back with gusto. The strategy worked, today ConocoPhillips is one of the best and most efficient oil stocks around. Just take a look at COP’s latest earnings report. The firm managed to crush estimates by more than 14% and generate $3.46 billion in cash from its operations. The best part is that cash is well above what it needs to “live on.” Because of that, COP was able to plow about $1.6 billion into new crude oil projects and buy about a billion in stock back. It also paid investors $330 in dividends. COP’s been generating so much cash that it was able to raise its dividend by another 7.5% — it’s the third jump in just two years. While lower oil prices may crimp some of this mega-sized cash generation, COP is able to keep making money in this environment. 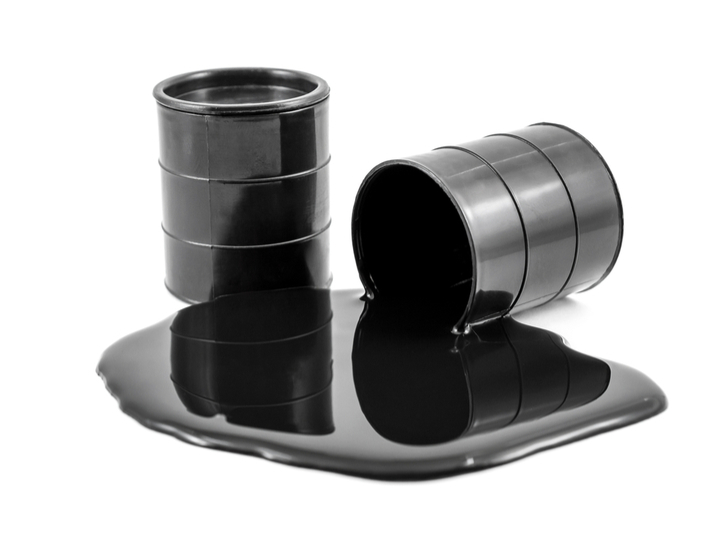 For investors, that makes the beaten down oil stock one of the best to buy going forward. 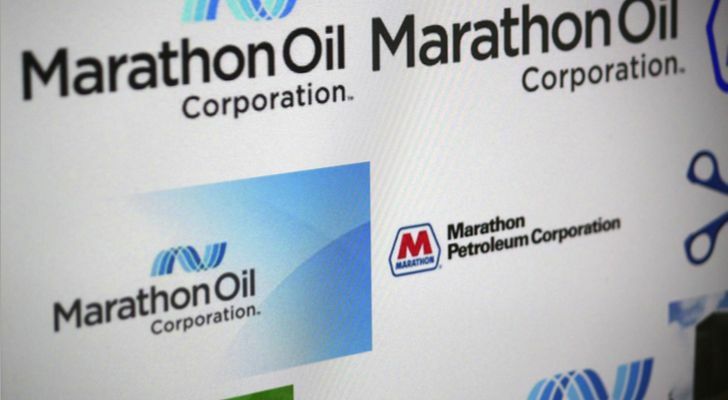 Like COP, Marathon Oil (NYSE:MRO) has had its share of ups and downs. After spinning off its refining assets — like Conoco — at just the wrong time, MRO suffered under the weight of lower oil prices. And just like COP, Marathon went through the “lean and mean” process. That meant selling assets, focusing on cheap shale in the Permian, Bakken and Eagle Ford as well as reducing its hefty debt load. This made it a low-cost and high margined machine. Right now, about 70% of its production is tied to higher margined crude oil fields. According to MRO, with oil at $50 per barrel, it can break even after CAPEX spending and dividend payments. This has given it plenty of cash flow generation and the ability to profit with oil at current levels. And it’s using its current hefty cash flows smartly. After the recent drop to shares, MRO has started buying its undervalued stock back in a big way. The oil stock has already repurchased about $250 million in stock this past quarter, but it has about $1.25 billion on its current buyback program. Management has already indicated that it’ll snag up shares as they get cheaper. This just underscores the value investors are getting with Marathon. With plenty of value and potential to make it in the current environment, MRO could be a great pick for investors looking at beaten-down oil stocks in today’s market. When it comes to oil stocks, EOG Resources (NYSE:EOG) has long been the fracking king. When no one wanted or even really had heard of fracking, EOG moved into America’s leading shale fields. Because of this, EOG was able to load up on large acreage parcels in the Bakken, Permian and Eagle Ford shales at beyond-bargain prices. Moreover, this first-mover status gave it access to some of the most prime and best spots in these prolific fields. What it really did was allow EOG to be one of the lowest cost producers of crude oil. And it only has gotten better at managing these resources as well. During the downturn, EOG smartly drilled, but not tapped many of its wells. By doing the digging when oil services were cheap, the oil stock was able to lower its costs in a big way. As things got better, EOG has been able to turn on the spigots and let the oil flow at higher crude oil prices. This has done wonders to EOG’s cash flows and profits. So much so, that EOG has quickly become a dividend growth machine. The oil stock managed to raise its payout by nearly 19% over the summer. This was on top of another double-digit jump the year earlier. With oil prices dipping, EOG is still able to turn a hefty profit from its low-cost wells. And given its history of smart resource management, it should once again pull back on production to save on costs and wait for better days ahead. All in all, any dip in EOG stock could be considered a gift for long-term investors. Article printed from InvestorPlace Media, https://investorplace.com/2018/10/3-beaten-down-crude-oil-stocks-to-buy/.